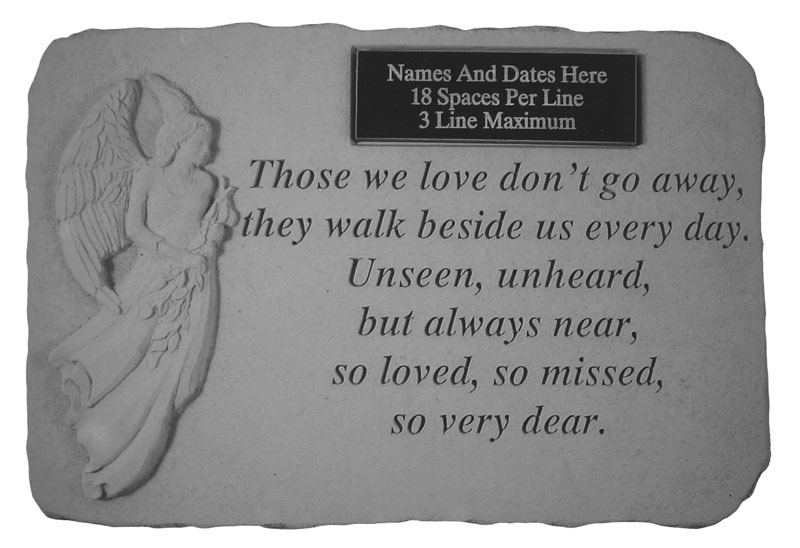 Memorial stone that can be personalized with your own text. It can be displayed in ground or hung. It has a hanger cast into the back to allow display on walls, fences, or outbuildings. Made in USA. A marble plaque is includes with 3 lines of engraving. (Maximum of 21 characters per line.) Text will be centered on the plaque. Complete Line 1 for centering one line.